Crème pâtissière is perhaps known better in English as pastry cream. Crème pâtissière is a delicious and rich egg custard that provides the filling for a variety of pastries. 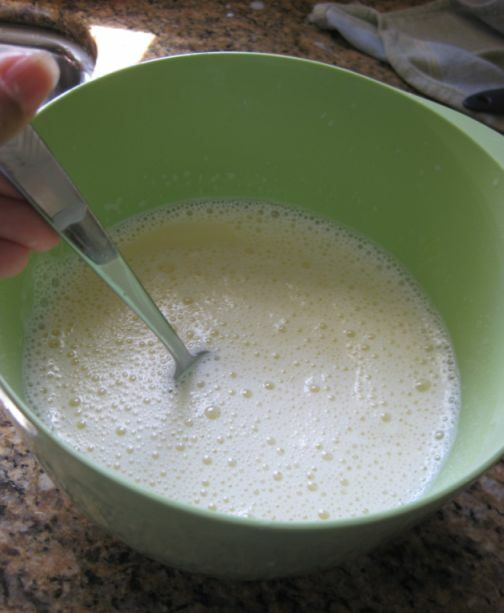 You may find substituted for whipping cream in cream puffs or éclairs, or it may fill the center of a cake. 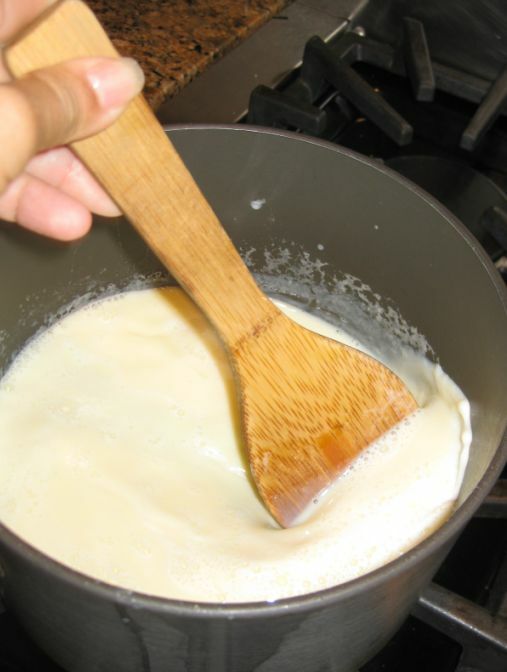 Though the traditional crème pâtissière is vanilla flavored buy you’ll find various flavors such as chocolate, strawberry, rum, lemon, etc..
Pour the milk in a sauce pan, add the salt and bring it just under a boil over medium heat. 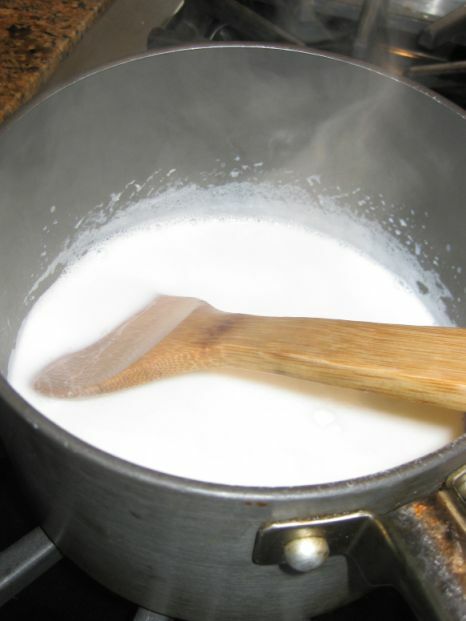 Make sure to stir the milk well very now and then. Be careful not to burn the milk. 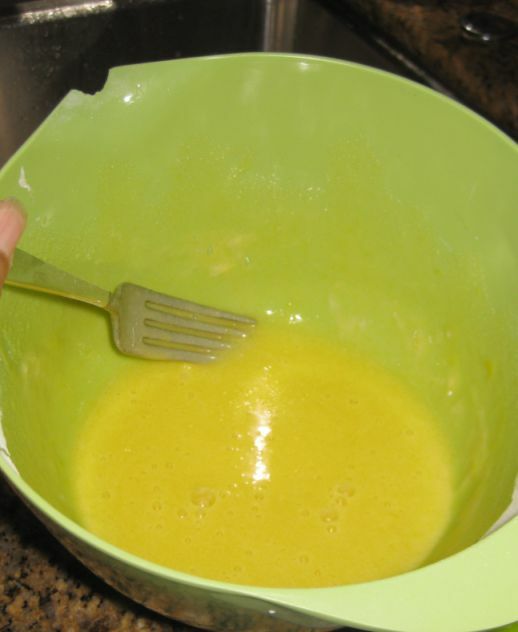 Make sure you see little bubbles on the edge on the pan then it is ready to be used. 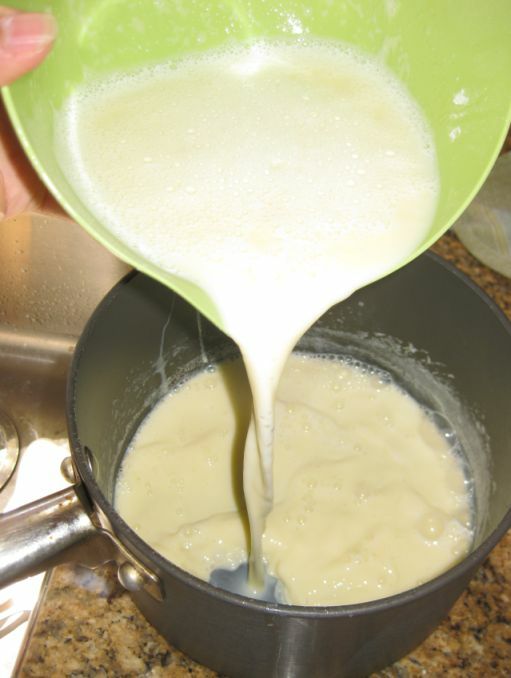 With a ladle pour in the milk slowly and whisking constantly. 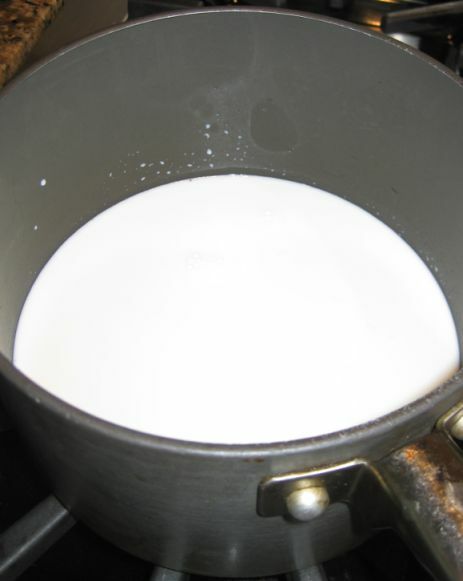 Continue until all the milk is used. 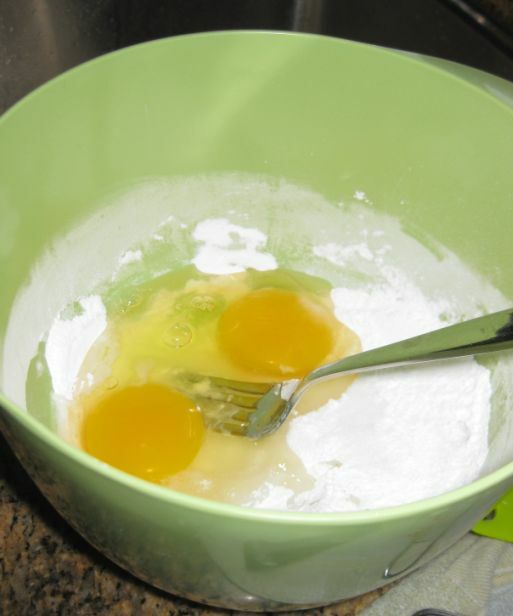 Pour back the egg-milk mixture back into the sauce pan. 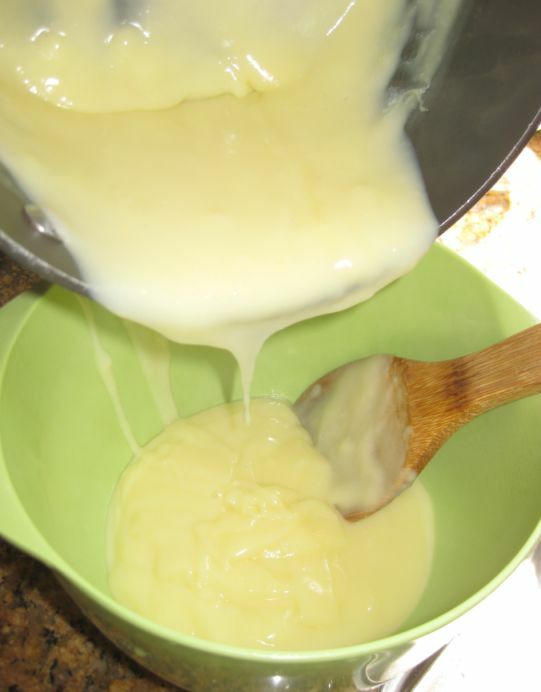 On medium heat keep stirring until the custard get thick. 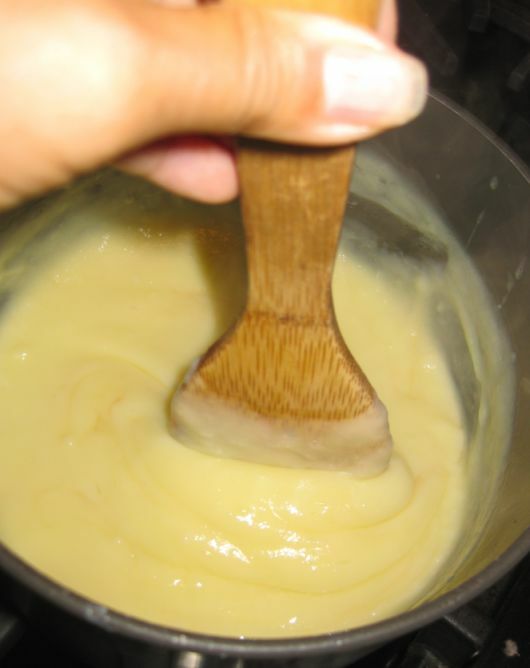 Here you can see that the custard is getting thicker. 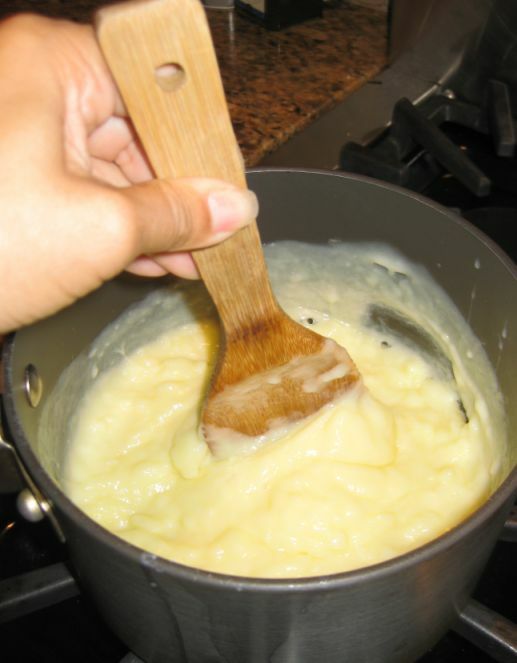 Keep stirring for another 2 minutes in order for the cornstarch to cook and thicken fully. 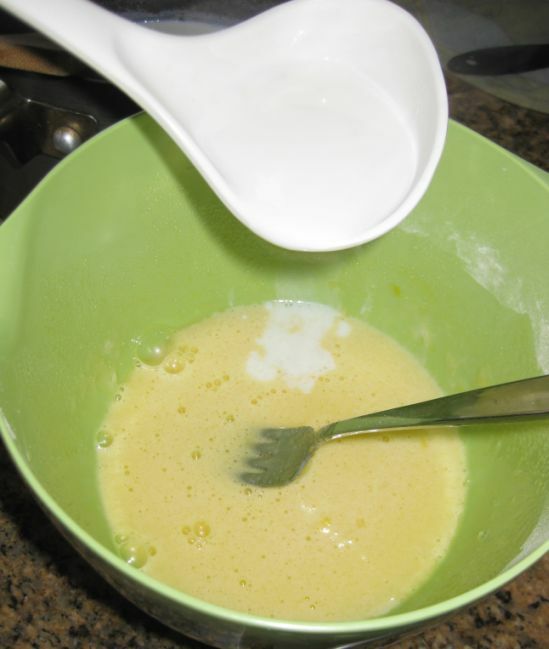 Pour the custard into a bowl and add the butter and stir well. 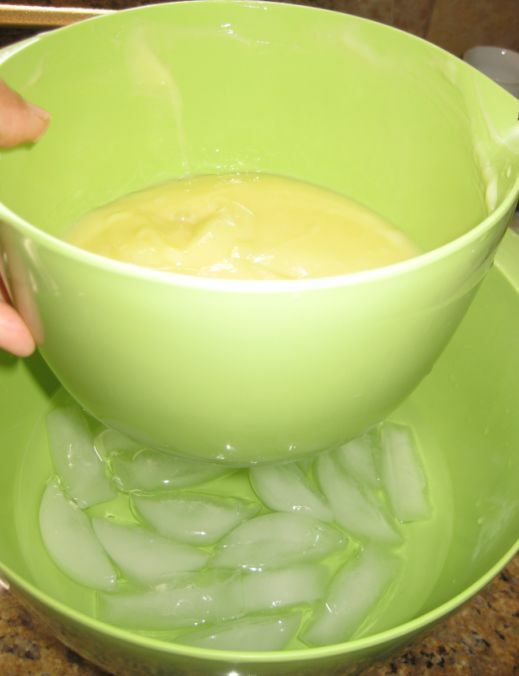 and put it on top of a large bowl filled with water and ice. 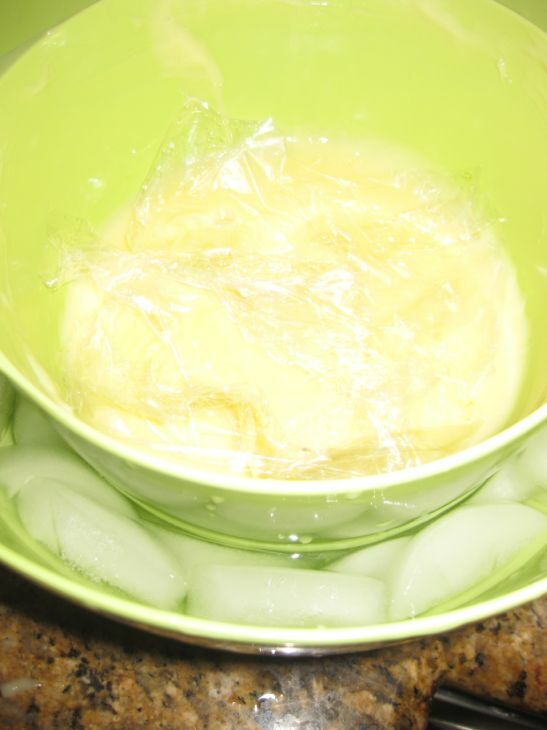 Put a piece of plastic on top of the custard so a skin does not form. I usually give it a cold bath so that the custard cool down a lot faster. 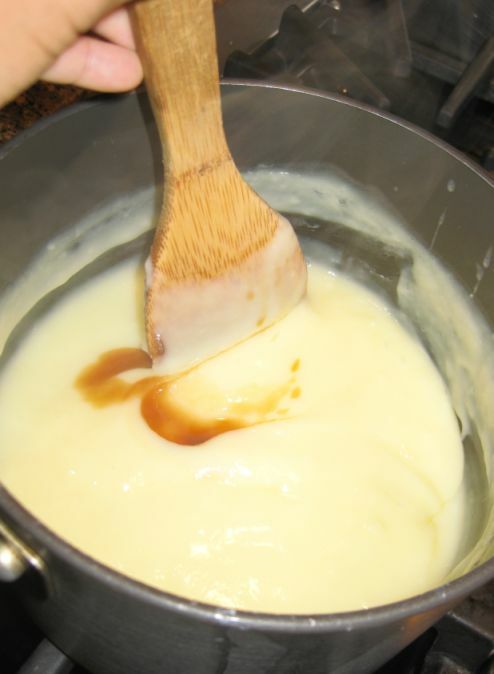 Leave it for about 30/40 minutes so the custard is completely cool down. Remove it and then store in the refrigerator. The Crème pâtissière can be keep for 5 days in the refrigerator.